This blend of flowers is designed to awaken and uplift the body and soul. Rose, Ylang Ylang and Orange Blossom help encourage creativity and sensuality. 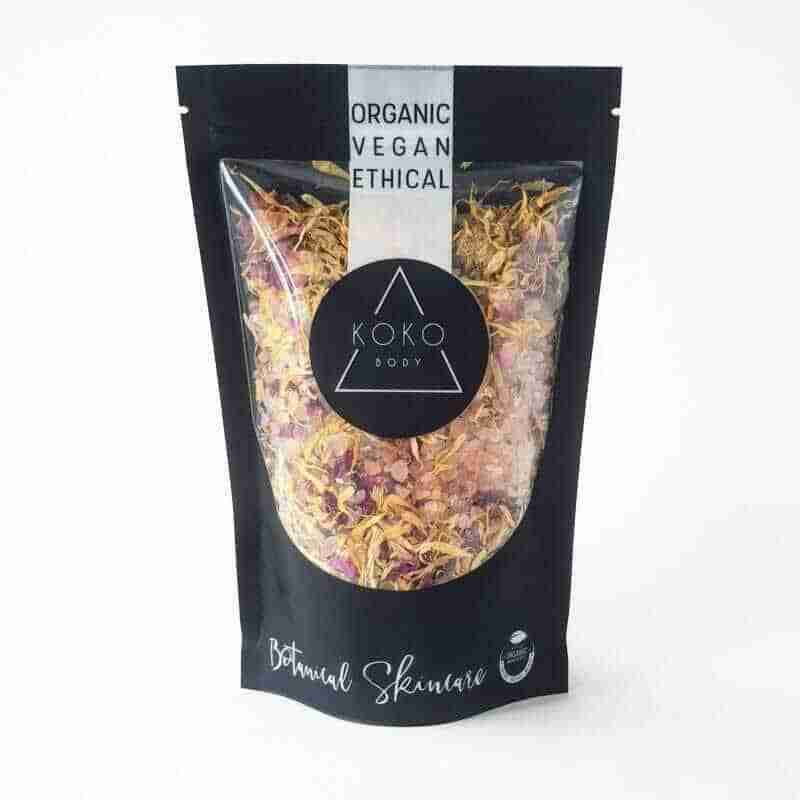 Calendula and rose heal, helping to soften and beautify the skin. Himalayan crystal salt infuses bath water with minerals and adds to the blissful bathing experience. Available in single use mini size or multiple use large size. Large will give around 4 baths. Scoop quarter of a cup of salt in a hot bath letting the salt dissolve. Water will infuse with the oil and petal mix. Got no bath? I make an amazing foot soak. Just fill a bowl or basin with hot water and add of handful of soak mix and your feet. The perfect Self Care Sunday ritual when combined with one of our botanic blend face masks. 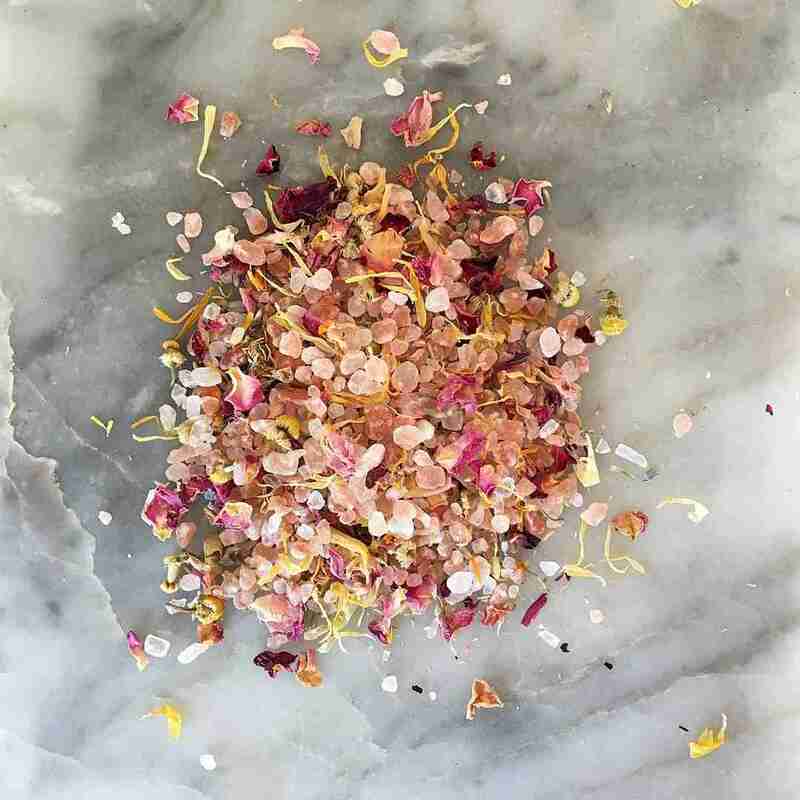 If you don’t like cleaning up the flowers after soaking try putting them in a small muslin bag or tea strainer in the bath. This way you get all the benefits of our flower powered salt soak but none of the drawbacks of cleaning up after.